Note: This review is for the old 2018 model. Check out our review of the new 2019 Blackfin Model X. Watch out. The new kid is in town. And he’s super cool. 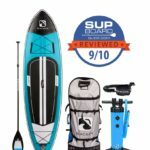 Are you after a reliable SUP that comes with accessories that will make you go giddy with excitement? Something so tough you’d be easily mistaken into thinking you’re aboard a floating tank? Have you heard all of this before? Well, maybe it was true. But, then the Blackfins came out, and now I feel like I need to retract any other time I’ve called something stable or durable. It’s also the superficial pleasure of having such a cool looking board that makes me love paddling the Blackfin Model X around. You haven’t seen a board this suave before! Check out why we think so highly of the Blackfins below! Check out our brand new video review and let us know what you think in the comments! Before I had even got this board on the water, I knew straight away that it was going to be a nice ride. It was a little heavier than other iRocker models but I could tell it was for good reason and not just poor workmanship. I pushed off the bank with a little run and jumped straight up as I do for fun sometimes! And straight away exclaimed, “OMG it’s so stable!” I wish I had caught it on video. 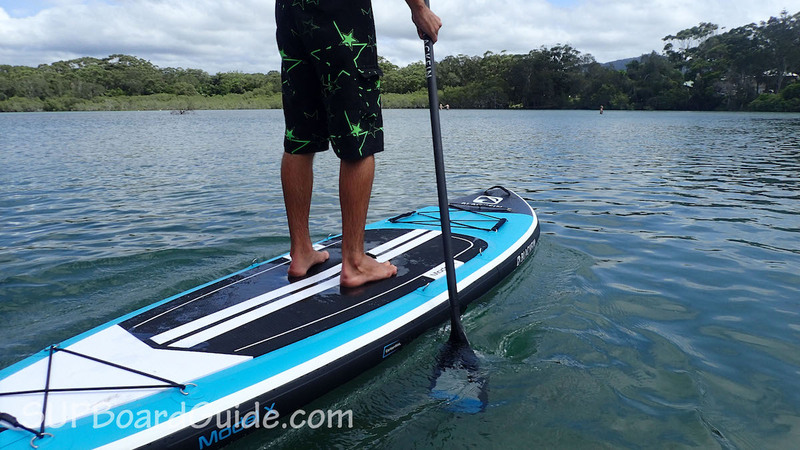 It’s got a wide berth at 35”, much wider than other SUP iRocker has produced yet. While it’s the same size as the Cruiser, it’s shaped differently. Shaped for a little more speed with a slightly more pulled in tail. The polycarbonate center fin has got an interesting new shape. It’s what you would see on a noserider longboard. It helps keep the tail still, which adds to the stability of this board. On the side of the board you can see little cut out rectangles, they are the windows to the carbon rails. These carbon rails absorb impact impressively. I ran myself aground, up against a wooden jetty and felt a dramatic decrease in the bounce. There’s nothing more embarrassing than falling off your SUP at dismount. I wouldn’t be taking these new BlackFins out in the surf unless I was on a point break that I could easily paddle back out through the bay and line myself up perfectly for waves. They are definitely built to be on flatwater and PERFECT for anyone needing the extra stability. 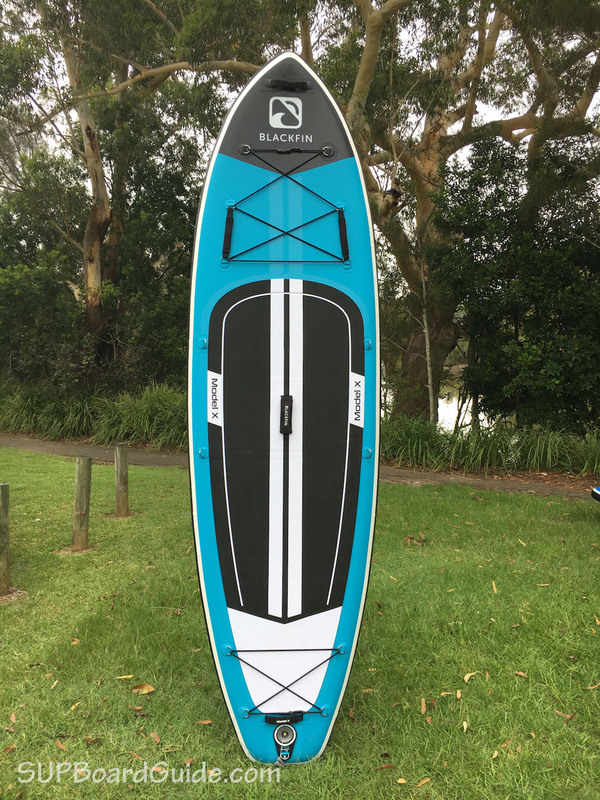 When I say people needing extra stability, I mean people that like doing SUP yoga as well as a leisurely paddle, fishing, taking a kid or two, the dog…If you need a SUP to for any of those activities, the Blackfin Models are going to leave you content with your purchase. Especially wanting a SUP for the kids to go on at the same time as you. On the nose, you’ll notice the bungee cord has a handle too. These handles were solely designed for kids to be able to sit up front and hold onto something. Taking extra passengers won’t cause flex problems unless with your combined weight you go above the 450 lbs max capacity. Though, if you are above that, you can get a little extra leeway with the 11’6″ Blackfin XL Model that has a capacity of 485 lbs. Anything more, good luck finding another SUP that has the capacity these do! I would suggest you could take these into light rapids even, you’d be stable, and the slight rocker in the nose would help with the chop. I’d be taking the center fin out though! I haven’t felt an inflatable SUP this rigid before and definitely never this stable. Talk about blowing the competition out of the water! It makes transporting the SUP’s while inflated incredibly easy. The handles on the bungee cord are a thoughtful touch. Seeing as many people like to take their children paddling iRocker decided they needed to improve safety on board. Being able to get your little ones to hold onto the handles makes everyone feel much calmer. An increased storage area for cargo has been added to the Blackfins too. D-rings with tie-down bungees to secure your gear are located on both your nose and tail. Especially useful if you do take someone extra with you. Keeping your bag behind you frees up all the deck space where an extra passenger would most likely sit. There’s an extra D-ring on the tail to secure your ankle leash and one under the nose for towing other boards/people. 4 more in the center of the board to attach the optional purchase of a kayak seat and also carry strap. Which there is more info on below. At first, I didn’t realize, but the deck pad is made up of thousands of tiny little blackfin logos. It’s not as grippy as the diamond grooves, but I say you don’t need any extra grip given how ridiculously stable the Model X is. Moving onto the most important part..the aesthetics. We all like to look good! The design on the board is seriously styling. The blues and contrasting black are so suave. I feel like I’m on the BMW of paddleboards. The only downfalls are the black deck pad can get a little hot under the tootsies, it’s okay, you just need to splash the deck if you leave the board in the direct hot sun for too long. I also noticed there’s a slight sheen in the material through the rails and nose that gives off this beautiful curvy figure. I swear I’m still talking about paddleboards. Now it’s great to have all these features a board that looks nice, but it still needs to be reliable. Is the Model X a reliable and durable board? I can’t say I’ve owned it for long, but I would say yes! The usual manufacturing iRocker uses is a drop stitch core that is triple layered with PVC. The Blackfin models are quadrupled layered and then reinforced with carbon rails on the Model X. You can see through the little windows they are telling the truth! I’ve already explained how these absorb impact, but they also will protect your SUP against wear and tear. These Blackfin models feel substantially more rigid and tough than other inflatables I’ve been on. They are heavier but apart from needing a little more effort to transport them, the weight effects nothing. Other times taking heavy boards out they will feel sluggish on the water, didn’t have that problem with the Blackfin! For balance and manoeuvering, the blackfin features a tri fin setup. A large removable center fin and two fixed side fins. The center fin include is inserted and secured by screw and screw plate. While this is a safe system so you don’t lose a fin, it’s easy to lose a screw. If you are worried about how large the fin is, you can purchase other fins with low profiles from iRocker. They have a 3” or the 4.6” for reef and shallow rivers, the 4.6” offers better control too. Then up from there, it’s 8” and 9”. These will all need the screw and plate too. There is an FCS Connect II fin that fits in the US fin box that doesn’t require the screw and plate, but it would be a totally separate purchase from iRocker. Recommended inflation is 15 PSI. You shouldn’t need any more than that. If you do an extra PSI or 2 will be fine. 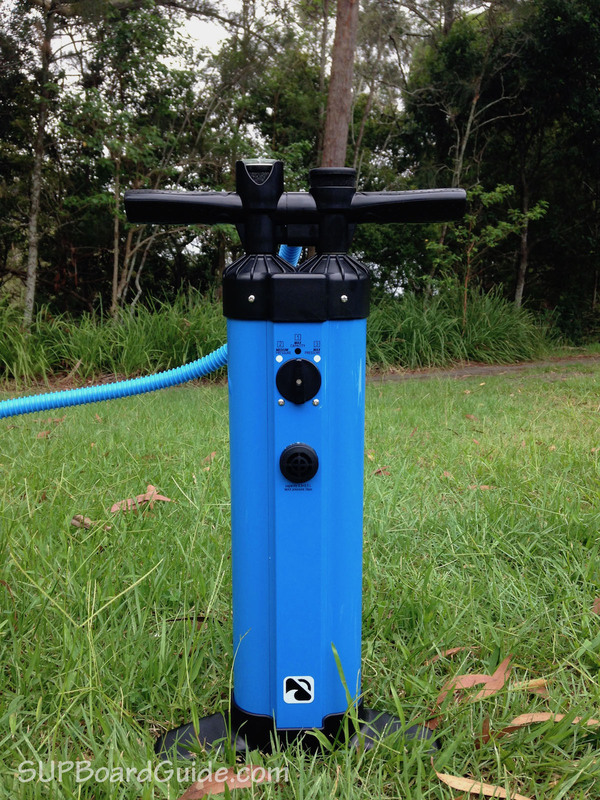 The double chamber triple action pump gets you pumped up in easily half the time any other manual pump takes. With easy to follow numbers 1,2,3 and a switch at the back of the pump, you should also find pumping easier in the higher pressures. The deflate process is the common simple pin push and twist release. The pump really shows that iRocker means business. So far Red Paddle Co’s Titan pump was by far the best pump on the market. We’re going to test them side by side but I think iRocker may have just raised the bar. Accessories like these are what make everything better. They are the cherry on top. The chocolate top on an ice cream. Paddle with ease. It’s carbon throughout the shaft and with a beautiful matte finish which is as smooth as silk under your fingers. Though lightweight it’s not to be mistaken to being weak. The blade is the same as the iRocker range because it’s been proven to be a bulletproof option. This blade is built with a solid edge to confidently be able to push off rocks and hard objects. Other features include it being adjustable from 72” to 86” and breaks down and packs easily for transport in the bag. The clasp is a double pin locking system which I personally prefer. It may not be a smooth, quick action as others, but you can’t screw it up. I get a little OCD about my handle being in at exactly the right angle on the simple clasp or screw locking system. Safety first! Included is a branded Blackfin leash. It’s got some weight in it which suggests it’s made to last. The coiled rope prevents harsh snapbacks if you fall off your SUP at speed. The coiled feature is perfect for small waves or currents where the board is easily carried a different way. In the ankle strap, you’ll find a sneaky stash spot for your keys. Don’t worry about losing them from there either because the pouch is secured with velcro. There is really nothing that I don’t like about the Blackfin travel bags. You can choose to use it as a backpack or wheel it effortlessly. There’s consideration in the wheel placement for the backpack preference too. You don’t experience the wheels in your back! The other common issue with wheelie bags is the straps getting caught in the wheels, not when they are on the front they won’t! Now, what’s the point of having wheels that can’t roll over anything but airport floors? That’s a feature being added to be used a very small amount of time. I couldn’t help but notice straight away the off-road wheel on the blackfin bag. They’re kind of cute, like miniature 4WD wheels. The straps and materials are thicker than previous iRocker bags, and I feel spaced a bit better. I would honestly use these bags for my own personal travel if I ever need a bag that big! Inside the bag are straps to hold everything in place and there’s an extra pocket up front for your extras. The only downfall is that you can’t fit all the gear inside as well. Mainly the pump because it’s so big! But it’d be super easy to attach the pump, and it’s bag to the outside to keep everything all together. Introducing the new dual chamber triple action pump. That’s a mouthful and full it will make your board. The triple action is easy to navigate with 1,2 and 3 on the switch. Start with the max capacity, switch to medium pressure and finally to max pressure. You can switch as you feel you need to. 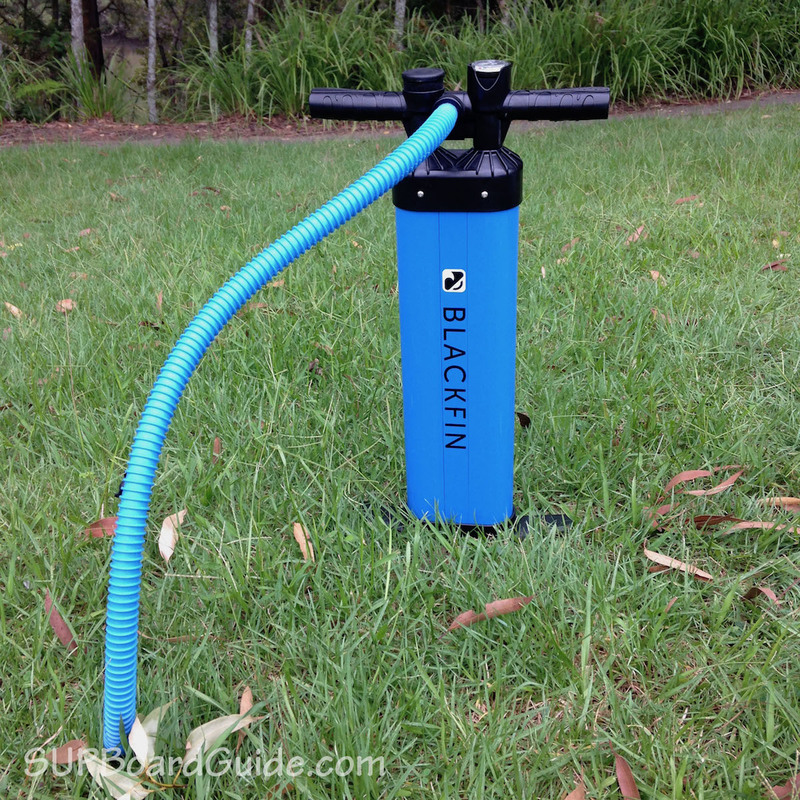 This pump gets the job done in a fraction of the time others do. One other problem I’ve had in the past is with cheap pumps being hard to use because they wobble or flex under pressure. I gave it a pretty good go on this new pump, and it held reasonably stable! A sign of good quality materials! 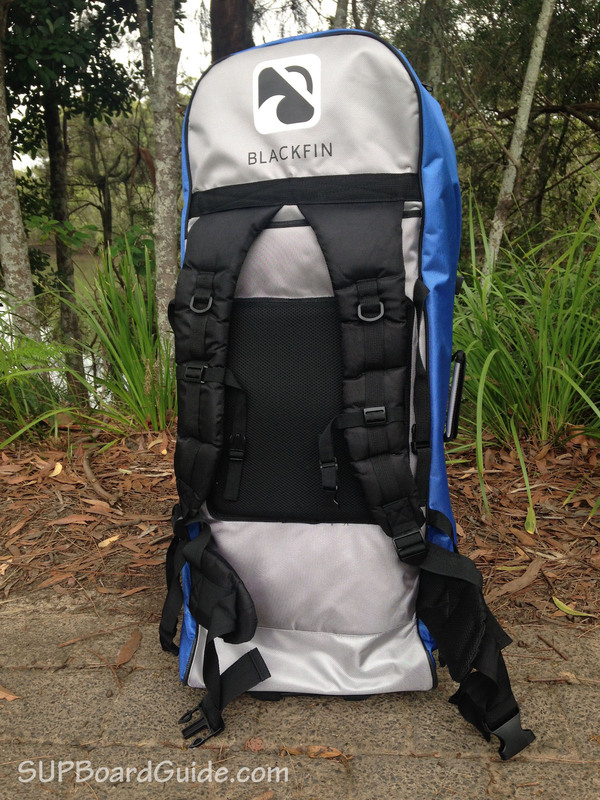 Kayak Bundle – The Blackfin kayak bundle includes an improved kayak seat from the other iRocker kayak bundles. It matches the rest of your gear with the branding and now has a little bag on the back of the seat for improved storage. The kayak blade you receive for the Blackfin has a carbon shaft however the other iRocker kayak bundles are still the fiberglass paddles. Cooler Bag – Want to be a cool kid? I love my cooler bag, I get ravenous on paddles, and there’s a high level of enjoyment being able to stop paddling, sit down, put my feet in the water and enjoy a snack. The bags come with little clips where you attach it to either the front or rear bungee cord. I found them tricky to get off again, but I suppose that’s what you want! Carry Strap – If you’re having trouble carrying your SUP, then this strap might be for you. It clips simply onto the same D-rings in the middle of the board as the kayak seat. The underside of the strap is well thought out with a nice soft rubber to prevent chafing and the strap digging in too much. These new Blackfin models just go to show the dedication iRocker has when it comes to improving their lines. If you need an inflatable SUP for touring, cruising or casual small point break waves, you can’t go wrong. You’ll be buying something that’s extremely sturdy and indestructible. And it’s all backed by iRockers 2-year warranty. 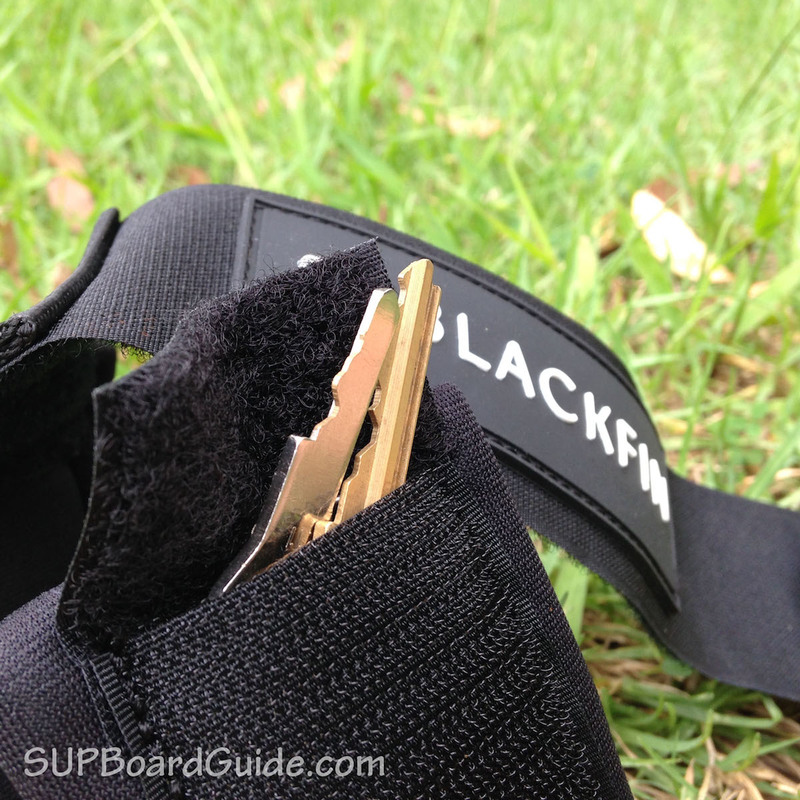 Beginners especially will love these Blackfin boards. Not only for how stable they but the durability. As a beginner it’s going to be common you’ll hit things while you are getting the hang of turns. Or sometimes you just get distracted looking the other way! It’s also a perfect family board, being so wide you can take the kids and the dog! The handles on the bungee cord up front are designed to keep your little ones safe and your stress levels low! With a HUGE max capacity of 450 lbs, you’ll be floating effortlessly even with an extra passenger. Though the extra 2” in width may deter you, it shouldn’t. The intention behind the extra width was that by then changing the shape of the board a little it could be even more stable than their Cruiser (already one of the most stable on the market) but still produce speed. 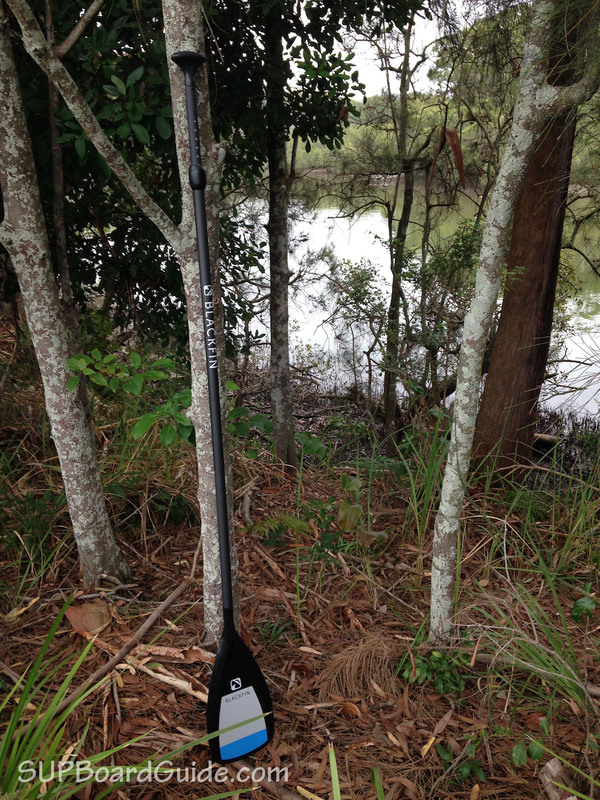 These carbon fiber rails will protect you from any impacts as well as the tough edging on your paddle. As I mentioned earlier, the rails also absorb impact an incredible more amount than any other inflatable SUP I’ve been on. 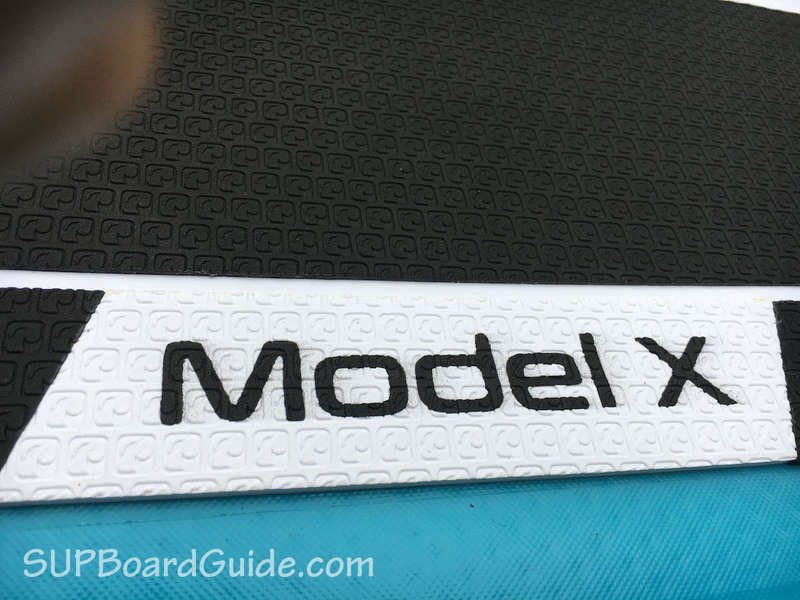 For those who are a heavier rider or intend to take extra gear, especially fisherman, check out the Model XL, it’s the same board but slightly bigger. If you are after a faster SUP, the new 11’ Sport will get you zooming past everyone else. It’s advised you have been out on a SUP before to buy the Sport though as it’s a little bit tricky for beginners! Out of curiosity, is there a reason why you scored the model X higher than the XL? I’m I the midst of deciding which model to purchase and am not sure which one would suit me better. I’m 5’7” 180 lbs and enjoy paddle sport. 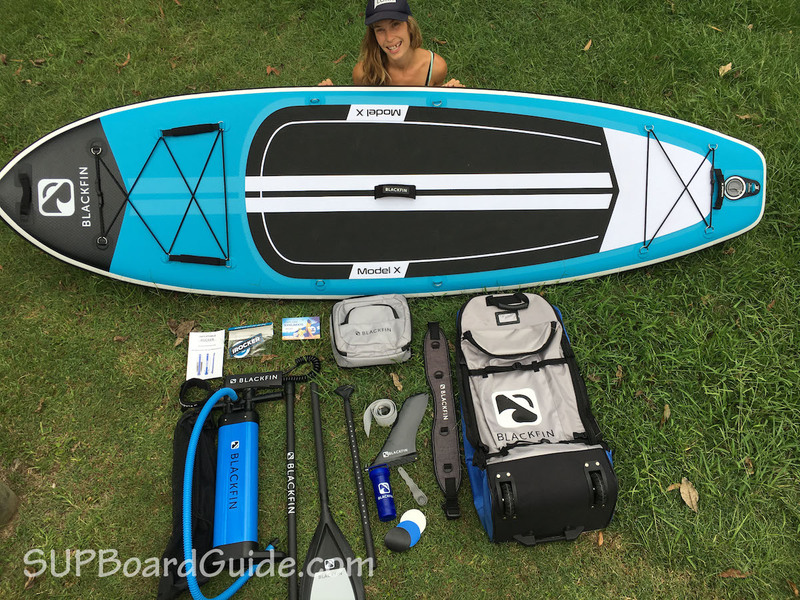 I would use the isup for lakes and ocean paddling with minimal surf, some windy conditions. How well does it perform in crosswind and tide changes? The occasional overnight camping and maybe fishing. the XL scored a slightly lower score on versatility than the Model X. That’s just due to its size. At 11’6″x34″ a board won’t be the most versatile model out there. 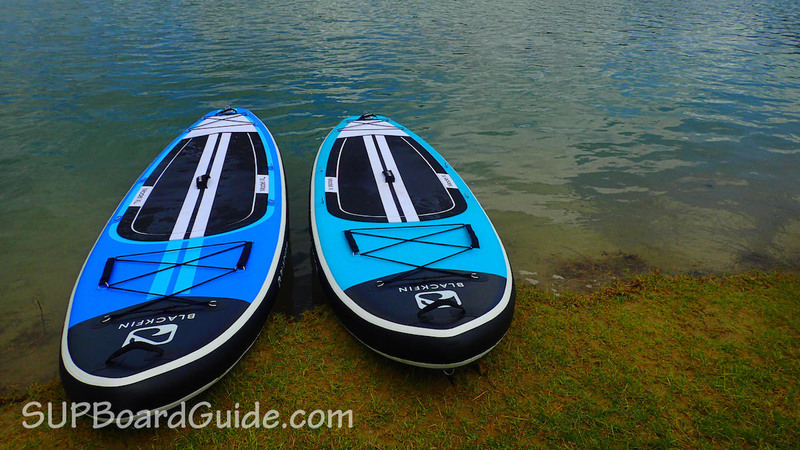 Both models are great for flatwater and slightly choppy conditions. However, I wouldn’t really take them into the surf. They are just too wide. You definitely have the storage space and stability for overnight trips and fishing though. You can also check out the review of the new All-Around. It will do better in the surf but is not as good for fishing. Looking for a new iSUP for the family primary use is flat water lake paddling and gentle running rivers. There can be a pup onboard as well sometimes! I’m stuck between this Blackfin Model X and the Thurso Waterwalker 11′. They seem very comparable from board construction and accessories supplied. Any thoughts?? Thanks in advance! The Blackfin is definitely the higher quality one even though the Thurso comes with a carbon paddle. It’s also a lot more stable at 35″ wide. 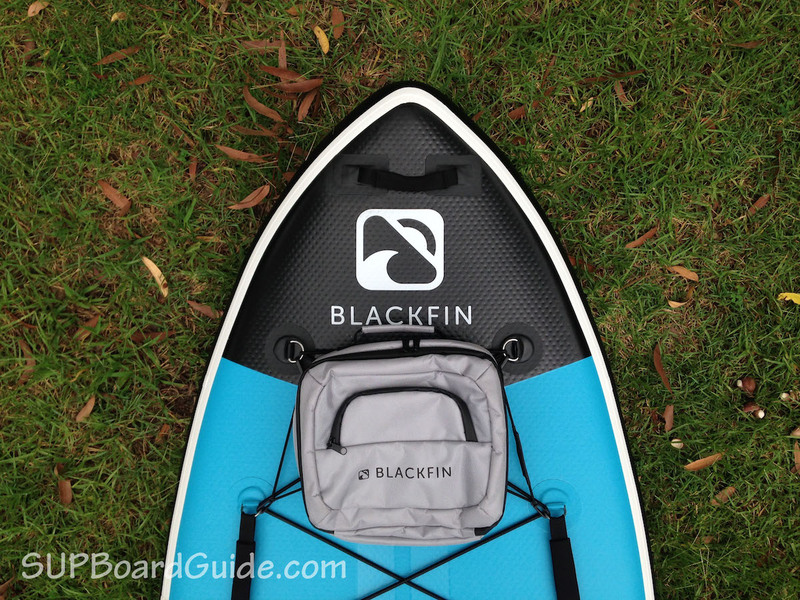 If you’re looking for a family board I’d definitely go with the Blackfin over the Thurso. We’re looking at the Blackfin X, the All Around 10′, and the CruiserSUP Crossover Air, which would you recommend for a family of four newbies, all somewhat athletic so a challenge wouldn’t be bad at times, 150-190 lbs, only on lakes with normal breezes but sometimes with whitecaps and 15 mph winds. We’d like something to get a bit of a workout on, that we could do some trickery like pivot turns and such, but also for two adults to paddle about a lake on with a glass of wine or some coffee. Options are wide open. Are we barking up the right board or is there something else you’d suggest? Out of the 3 the All-Around is going to be the sportiest. It also comes with extra handles for your kids to hold onto just like the Blackfin. If you want to use it with 2 adults definitely get the 11′ and not the 10′. The Blackfin is slightly faster than the Cruiser and it’s the highest quality of the 3. The accessories are the nicest and it’s also the widest so it will hold 2 people comfortably. 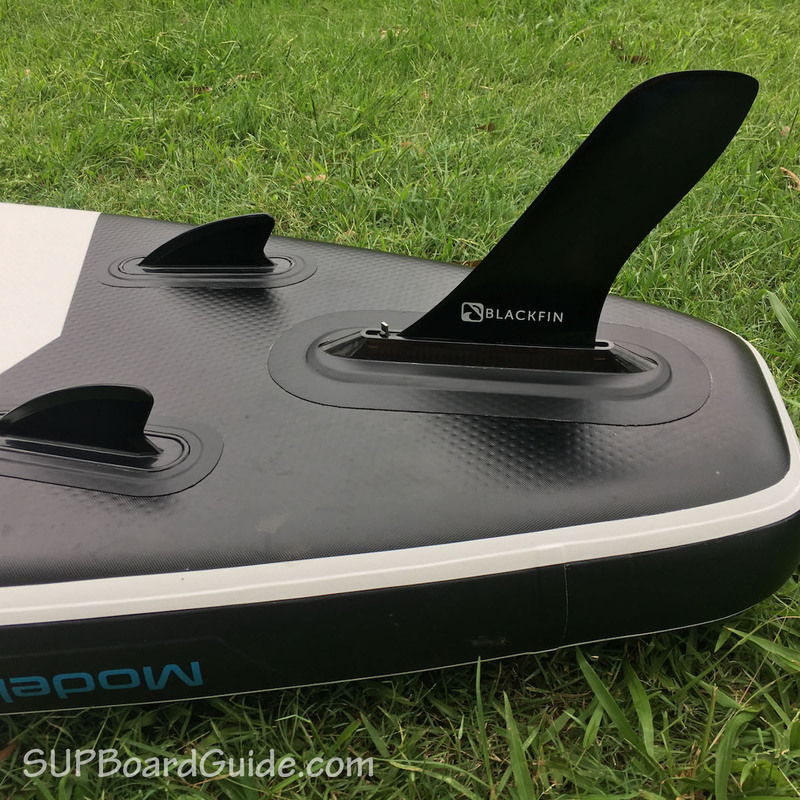 While the Blackfin isn’t the most versatile board at 35″ wide you can definitely do pivot turns on it and it’s great for families and beginners. It’s also ideal for workouts. Since a sportier board is an option for later on I’d go for the Blackfin and then consider getting the new iRocker Sport later on. That way you will have one family/workout board and one quick sporty option. would the blackfin X perform relatively well on Lake Michigan on mildly windy days with light chop and small waves? Yes. Small waves and a little wind are not an issue at all. I am looking for a board I can use to fish the flats of Tampa Bay on a regular basis, as well as, take out to the Gulf Beaches from time to time for recreation. I was considering the Irocker X along with the Isle Explorer. The liked the fact that the Isle Explorer had more and better placed D Rings to attach a cooler but it seems the Irocker may be more durable and slightly less expensive. Can you please give me your thoughts? Would the placement of the D Rings on the Irocker allow me to attach a Yeti type cooler securely? It seems the D Rings are not far enough towards the back of the board for this application. ISLE will allow for the cooler to be placed closer to the rear as their midsection D-Rings are further back whereas the Model X has the mid-section D-rings set in the middle of the board but these also double as the D-Rings for the Kayak Seat and Shoulder Strap. 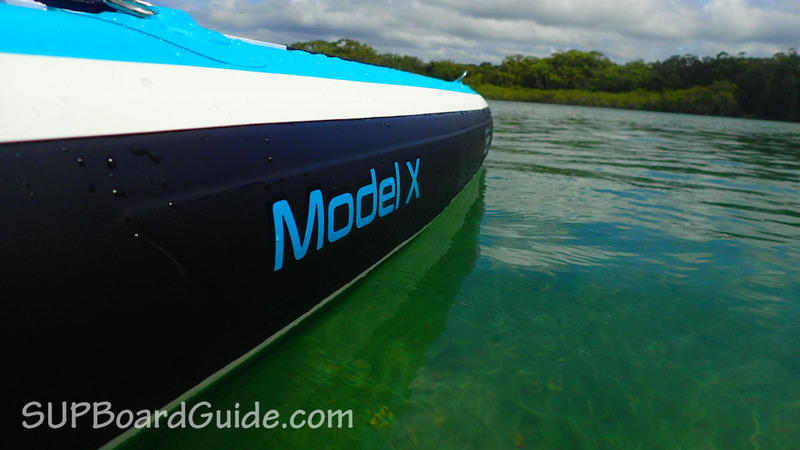 The Model X is less expensive and comes with a Dual Chamber Pump, Carbon Side Rails, US Fin Box and Roller Carry Bag ISLE does not have those features – The Model X will be more stable and more versatile allowing you to add the optional Kayak Bundle- ISLE does not have this feature. Thanks so much for your helpful response. mild conditions are doable on the Model X. At 35″ width it’s just not going to be the perfect board to cut through waves. Something more narrow would be better suited for those conditions. However, that’s the drawback of any board this wide and not specific to the Model X. You can also check out the iRocker All-Around. It’s not as wide but fairly similar in other aspects. My wife and I have rented hard boards before. About to buy our first iSUP’s. I am 6’2″ 200lbs, my wife is 5’2″ 110 lbs. We have 2 small blue heelers who tag along sometimes. We are mostly near flat water, local river, lake, etc. I am considering the model X because once a year I do a 3 day float of the John Day River in July to fish. Lower flow, some class 1 and 2 rapids. Me plus gear is less than 235 lbs. Have seen people run it on Hala SUPs and Boardworks Element. The X has similar length/width. Do you think the X could handle it? Was thinking of getting my wife an iRocker All Around 10 for cruising the lake, do you think a model X is capable of keeping up with the all around 10? It certainly has the stability for rapids. Its center fin is made for tracking and is quite large. I would be tempted to swap it out for a smaller dorsal shaped fin if going down rapids. The US fin box is compatible with a range of FCS fins. Not only will it protect the fin, you’d get a bit more maneuverability out of the board that way too. It’s probably not going to keep up with the All-Around it’s a bit heavier so that slows you down a little. However, saying that it does pick up speed better than I thought it would. So might also depend on whether you and your wife paddle at the same speed. Have you looked at iRockers Sport? It would handle rapids better but it’s obviously nowhere near as stable as the Model X. Even though it’s not as wide it’s still super rigid with the new quad layer PVC and 6″ thickness gives you loads of buoyancy. Plus its max capacity is 385 lbs, I’ve gone out on it with two people before and we’ve stayed dry. Definitely planning on getting some shorter fins to play with in whitewater. I did not think of the sport! The profile/length/width of it seems very different than the other whitewater boards I was comparing. From our time in kayaks my wife is not a speed demon, definitely leisurely! I tend to push things as hard as they can go. So hopefully the model X being a little slower will balance thing out. I think I want the extra stability for fishing and ability to put a cooler on the back with the extra D rings already in place on the Model X. If the X is too slow for me to keep up then we will pick up a sport 11 later. Thanks for your help! No worries! Sounds like you two are living the dream. Good luck with that fishing! We are two guys 6ft tall and about 150lbs and we are both looking for a sup. We will give you a gnarly question; which is the best jack of all trades? We live in Amsterdam and like to explore the canals, we want to do yoga, we want to take someone with us and, on top of that, would like to do some sup-surfing once in a while. Which sup would you choose if you were us? We are doubting between the blackfin x, irocker allround, thurso surf and red paddle 10.6. We just lost track but are still very excited! Sounds like you really do want to do it all. The Red Paddle Co Ride is going to be your best choice. The Blackfin X is by far the most stable one you’ve named. It’s not versatile enough for the suerf though but the only one that can easily carry two people. The iRocker All-Around can do it all but just not as well as the Red. The Red is overall the highest quality but it obviously does come at a price. The fin setup is ideal for the surf and it’s great for casual cruising in Amsterdam. I’d consider getting the 10’8″ though. It’s got more volume than the 10’6″ and will make it easier to bring a second person on board. We’re currently working on a review of the 2018 Ride. Fingers crossed we’re going to publish it on Monday or Tuesday next week. I am really torn between the Blackfin model X vs the XL. I am planning to use the board with sometimes one or two of my kiddos. Also, I want to be able to take my dogs out as well. I wouldn’t be worried about the X model with my kids, but I am wondering if the longer board would be better for my two dogs? Any thoughts? On both boards myself and all passengers would still be under the max weight limit, so that is not something I’m worried about. that depends. How large are your dogs? Are they used to being on a SUP? If not they might appreciate some extra space. Also, keep in mind that the weight limit is the max capacity the board can hold. If you’re getting close the max capacity that will have an effect on the performance. I wouldn’t recommend doing any long trips with 3 people on board. For short trips and some fun on the lake it’s perfectly fine though. Hi there! I know some people have alluded to this already. But I’m also torn between the X and the XL my partner (he prefers to kayak) and I want to go on overnight camping trips and handle waters that can sometimes be a little choppy. 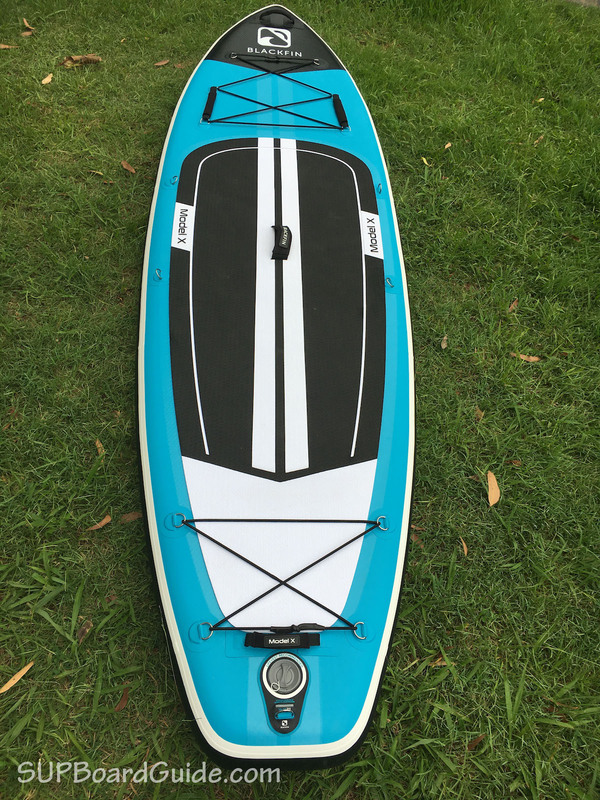 My concerns are that I’m 5’6” 170lbs and I’m new to SUP so I’m hoping for something stable and manurable where I can store our camping gear. And the reason I’ve kind of only looking at the X and XL is because of the double bungee areas and the option for kayak attachment. Maybe I need to consider a different board? I’m in Ontario, Canada btw so it’s mostly large lakes and rivers around me. And I’ve looked at the Red Paddle Co. Voyager but the price range is a bit high for me at this time. Thanks! The X and XL are definitely stable enough for choppy conditions. If you’re going to tackle white water I’d suggest the X over the XL. It’s a little easier to maneuver since it’s shorter. If you’re just paddling on lakes and fairly calm rivers with a little bit of chop go for the XL. It’s easy enough to handle even for smaller riders. The thruster fin setup makes it easy enough to turn even for beginners and intermediate paddlers. Both boards have a ton of storage area and you can get the optional kayak seat. The Red Paddle Co Voyager is an awesome board but it’s definitely in a different price range. It’s also a very different board. The version with two bungees is 13’2″ long and only 30″ wide. That makes its performance completely different. It’s more of a high-speed touring board designed to cover really long distances. It can handle chop but really isn’t designed for white water. If you’re paddling in flat water and want to go far and fast the Voyager is for you. No kayak seat option though! I am looking for a great board, reasonably priced to use at our lake cabin. Kids and adults will use it. I am 6′ 250 lbs. and not all that agile, so we need something I can also enjoy using. My wife thinks the $400 Costco boards would be just fine. I am willing to spend more for a better ride. What is your recommendation? Finding a board that’s suitable for both kids and you being 6′ tall isn’t that easy. You will have to compromise in some areas. The Model X is a really good choice though. It does have the weight capacity you need and is extremely stable. It also comes with really good accessories. Your kids will also be able to handle it as it’s designed to be a family board. How old are your kids? If they are teens I’d say go for the Model XL. It’s got an extra foot in length which you will definitely appreciate. I know you’re a petite person, & hopeful someone can chime in here. I’m heavy chested and always wear a lifevest. When I get off the board to cool off or fall off. Its very difficult if not impossible to get back on the board. Which board would be better to get back on? Is a firmer board like the blackfin x easier or would the cruiser be better? I really don’t care about speed with my board, im going more for safety and stability and MOSTLY ABILITY TO GET BACK ON THE DARN THING. I hope someone can help! Yes, I am a wee little paddle boarder! Though it’s worth to point out I always convince my friends of all shapes and sizes to come paddle with me when I get a new board to review. I don’t feel the flex on lower quality boards or face as many obstacles as some of them. So, in order to get a real understanding of particular boards, I try to make sure at least a few different people have given me feedback. I would suggest the Blackfin Model X. For a couple of reasons. 1. It’s very wide at 35″ and the profile is quite consistent from nose to tail which makes it one of the most stable boards on the market. 2. It has handles on the bungee area, centre, nose and tail which will help you get back on board 🙂 Most only have a handle in the centre or perhaps a tail/nose one. 3. The quad layers make it super stiff (and durable) which again helps with getting back on and staying on! 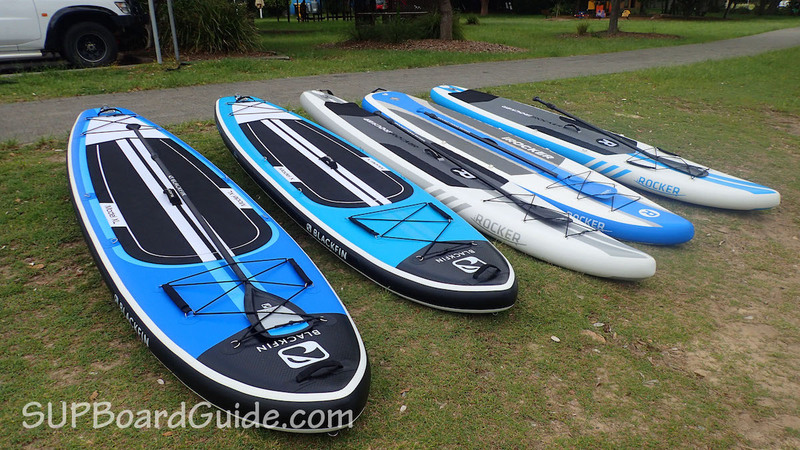 The cruiser is also a great option but the Blackfin is much wider and therefore more stable. I find when you’ve fallen off or gone for a swim, your balance can kind of disappear for a bit. I guess it’s our brains’ way of adapting to know what to do between standing/swimming. So, if I’m feeling that, I’ll take a moment to just have a few breaths sitting or kneeling on the board and focus on something on the shore that’s not moving. Allow my brain and body to catch up with the sensation of sitting still but still moving. I am trying to decide which of the irocker/blackfin range would be best for me. I live on a calm, meandering river where I will use it most of the time. I’m also a short drive from the cost, where the water is also very calm and flat. My friends and I do travel down to Cornwall, UK once or twice a year for a spot of surfing. I plan to use my surfboard over an isup for moderate waves but for flatter days would like the option of taking an isup out for a leisurely paddle and to even catch some small waves. What would you recommend? Perhaps the All-Around would be best then. It’s a good in between board. You’ll be able to surf small waves on it and it’s tracking, glide and stability are great for cruising. Depending on your size, there’s a 10′ or 11′ available. The 10′ would be the better option for small waves if the capacity suits your needs. I’ve been looking at the IRocker Cruiser and the Blackfin X. We live on a lake that is usually calm, but can get some chop on the weekends with boat traffic. I’m interested in paddling for exercise, recreation, some yoga, and maybe taking my toy poodle with me. Sometimes I would want to set it up like a kayak and follow my husband around in his kayak. I’m 5’5” and about 150 lbs. I’ve been on SUPs about 4 times, so still a beginner. Any thoughts on which model to buy? I am looking for a board for my boyfriend . He is around 6’ and 80 Klg( they are not exact mesurements , It’s a guess ). We Live next to the beach so he will be using it for cruising around and starting to learn to catch some small waves when conditions are suitable. 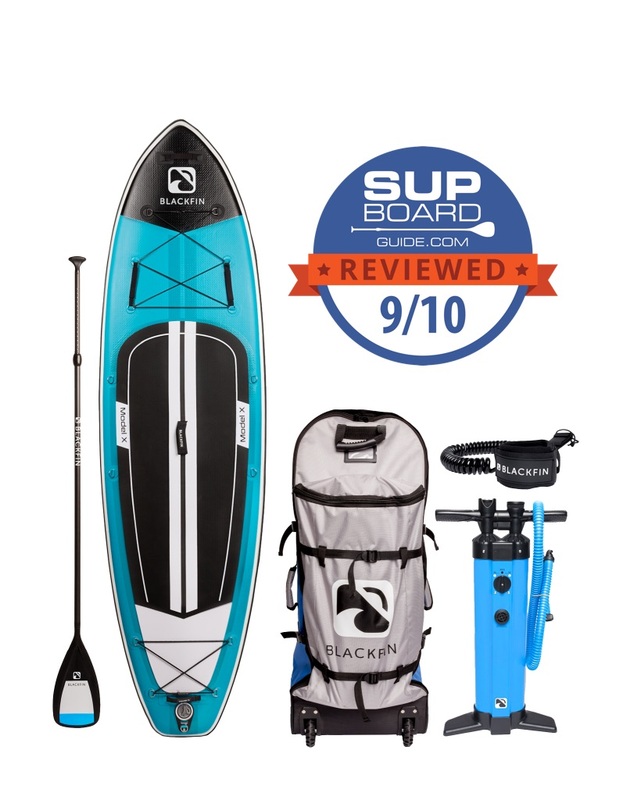 I like the Blackfin because seems to have better quality accessories and more sleek look, however the IRocker all-around 11’ may more suitable for his height and weigh and may be better option to help him to learn to get some waves . It will be great if you could give some recommendations please. I would suggest the All-Around would be better at catching the small waves. 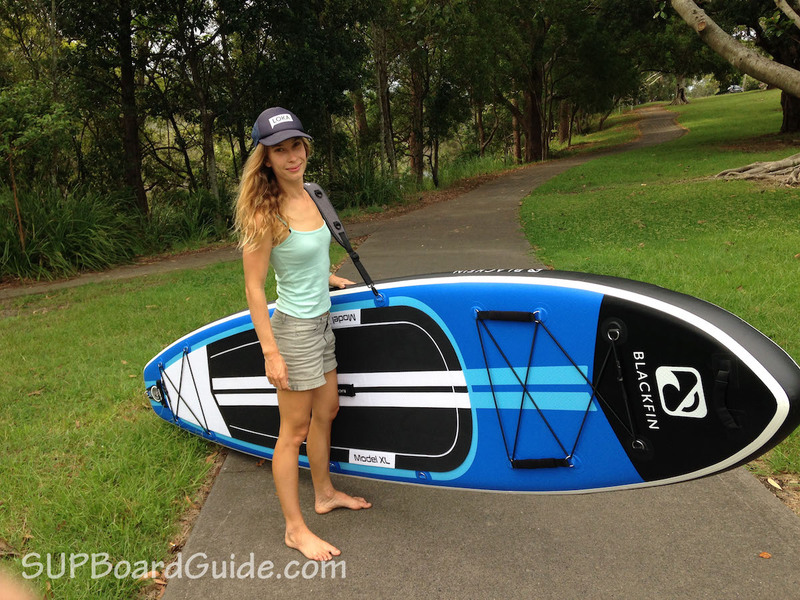 The Blackfin boards are considerably larger (well wider) and they don’t turn as easily. It is true that the accessories are a little better but I would sacrifice that for the versatility. Great …thank you so much Sacky! I am looking for a for a board to use on Lake Erie. I have a 30 ft boat, so I would be taking to the coves and using it with my Doberman Pincher and French Bulldog as passengers. I am leaning toward the Blackfin X, but would the XL better suit me? My adulst son’s would also be using it. Thanks!! I would get yourself the XL if you don’t mind losing only a small amount of manoeuvrability. The XL is a fun board to get around on and you’ll be happy to have the extra length and weight capacity if there’s a whole herd of you on there! Hey there… nice review. Thanks for all the great info. Question… I am considering the X or the BOTE Aero Rackham… I know there’s a considerable price difference between the two and just curious if you think the BOTE is worth the extra thousand bucks. I want something that I can take my young son out with me and is very stable for both of us. As well as the occasional yoga and fishing. I use it on the coastal dune lakes and the gulf here in the Florida Panhandle. Thanks in advance! I have never paddled the Aero Rackham but by just taking a look on their site/reviews elsewhere, it seems like it’s a decent board! As far as materials, therefore your durability goes, it seems the Blackfin and Aero would be on par. Though this is hard to know without actually looking at the board too. The Aero Rackham definitely has the features you want for a fishing adventure! I think the extra cost is due to the thought and process that went into making it a fishing iSUP. The Blackfin would serve better as an all-around. It’s definitely stable enough for fishing! It’s also got the kayak seat attachments, which you can purchase a seat separately. I’m trying to decide on a board for taking on vacations. Will be mostly going out on the ocean, from Hawaii to the canals in Venice. I’m 6’ 230 lbs. some experience on hard boards but never on inflatables. The XL is a biiig board, it’s designed to take lots of weight and either multiple passengers/lots of gear. It’s not the fastest board due to it’s weight/width/shape. So if you are touring down canals and want to get places faster I would suggest looking a better shaped touring SUP. 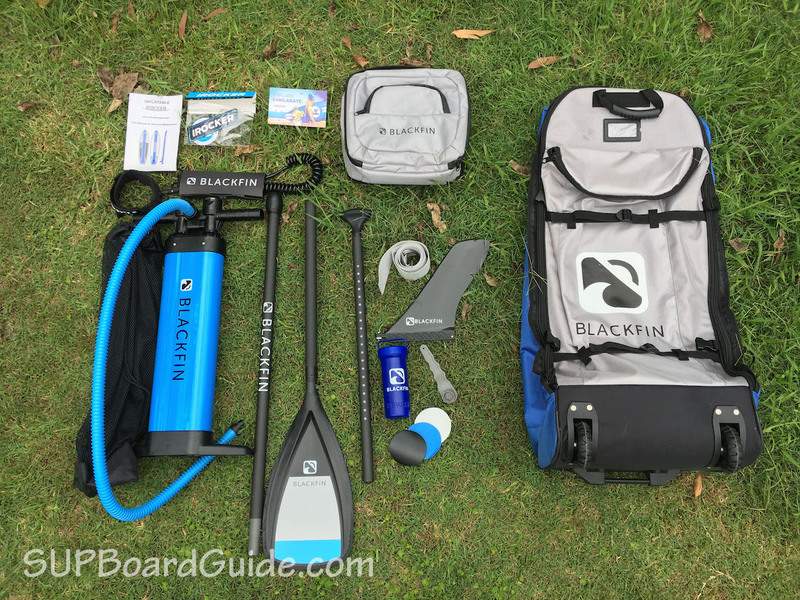 Something in a similar price range to the Blackfin would be the Thursosurf Waterwalker but you are on the mark with upgrading the paddle too. But if you plan to take gear/people with you the Blackfin XL or even the X would be good for you I believe. It still tracks well and surprisingly moves easily. The Blackfins are definitely a HUGE value package and have better accessories than the Thurso 😉 So you just need to decide which you value more, speed or space! Thanks for the entertaining videos! And informative reviews. My wife (5’6″,115 lbs) and I (6′, 175 lbs) are both fit, reasonably athletic and relatively new to SUP. Our uses of the SUPs will primarily include (1) taking them down (as checked bags, how sturdy are the supplied bags?) to a boat in the Bahamas and Caribbean where we will encounter some chop, wind, currents, rocks and coral (which we will hopefully avoid, both us personally and the boards) and (2) using them at home on typically flat water, but also in some more adventuresome conditions (see above). While on the boat, and somewhat less at home, the boards will also be used by guests of varying experience and sizes. We will buy two boards. We wouldn’t necessarily need to have two of the same board. What are your thoughts and recommendations between the iRocker All Around (both 10′ and 11′) and the BlackfishX? And ALSO, the Atoll. And, of course, any others you’d like to throw out. So I’ll try answer this as straight forward as possible. 1. 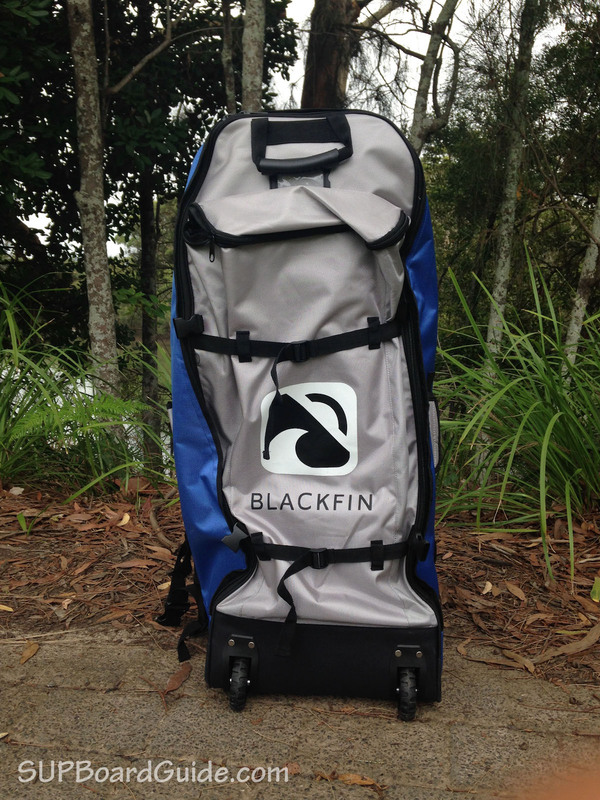 The Blackfin bags are much sturdier/transportable (wheels) than the iRockers. If you are transporting distances that have sealed roads/paths, even on a semi-regular amount, believe me, you want wheels! Especially if you have other luggage. 2. 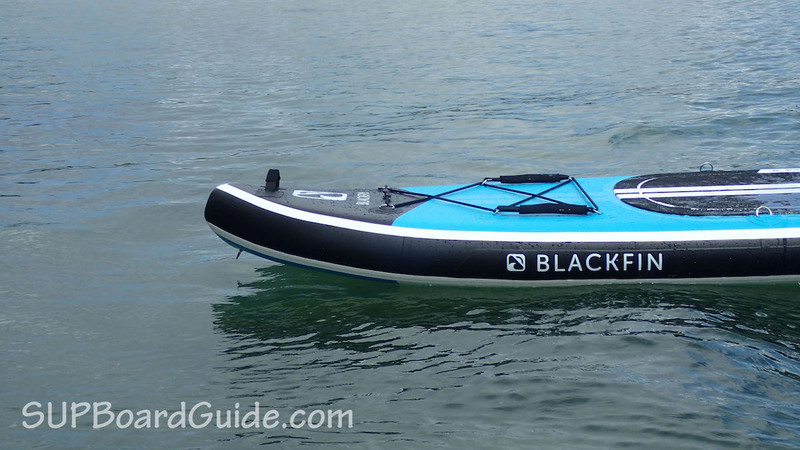 The Blackfins are bigger boards, made with being able to take extra passengers, mainly kids. So they are a fair bit heavier than most other inflatables their size. That’s because of the extra PVC layers which aid to more weight capacity and durability! They are also wider than the average iSUP their length, so not as speedy/maneuverable. However, they aren’t so hugely different that you wouldn’t want to compromise. So, really they are kind of perfect as being versatile for all sizes/experience which is perfect for your guests. The Atoll, not that I’ve had experience with it but just looking at their site, doesn’t have the same accessories as the Blackfin X. Such as easy transport/good pump/fin/durable quad layers. For the slight increase in price I’d be going with the Blackfin. You will get a little more performance out of the All-around or the Atoll but for the versatile uses you are looking for, I feel the Blackfin X is your go to.